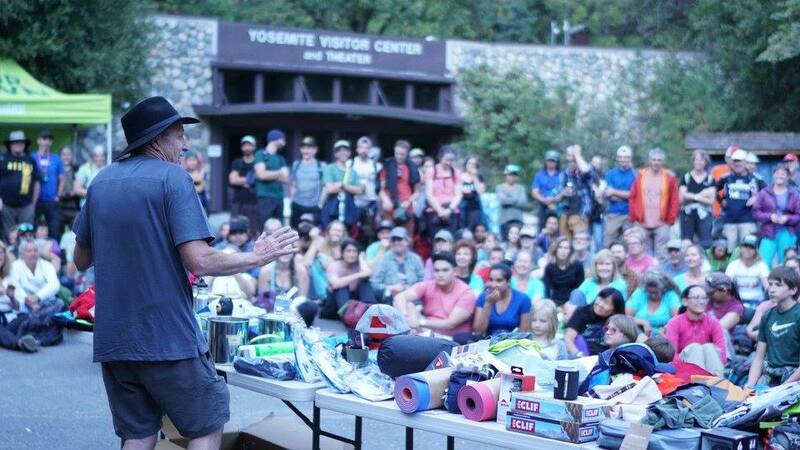 Since 2004, the Yosemite Climbing Association has hosted Yosemite Facelift, the largest annual clean-up event of any National Park. In the heart of Yosemite, form the Valley center to Tuolumne Meadows, the task of picking up trash over five days in September has become a critical event not only for local communities and visitors, but for the very health of the flora and fauna. 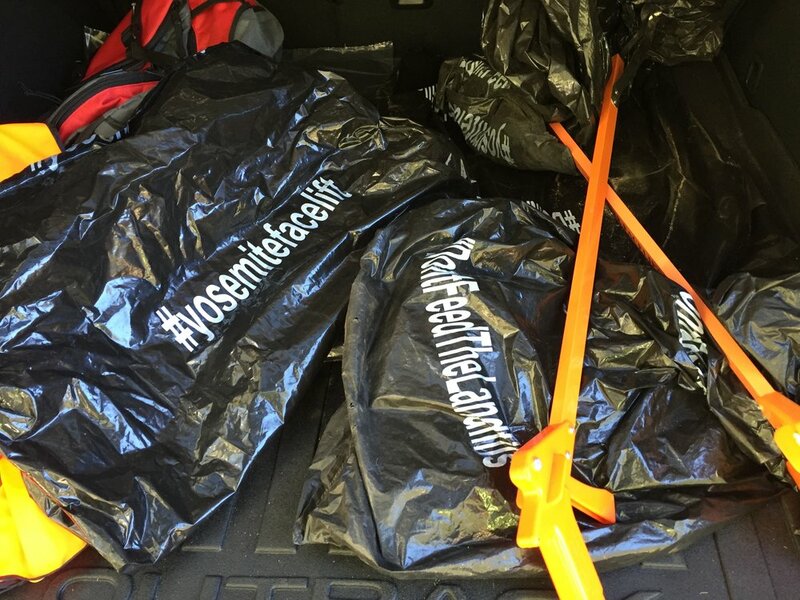 In 2016, Yosemite recorded just over five million visitors, and, inevitably, the YCA removed 12,197 pounds of litter and infrastructure debris during the 2016 Facelift (2,565 pounds less than what was collected in 2015). Whether visitors are slowly becoming more aware of Leave No Trace practices or not, the YCA only reported collecting only 6,790 pounds in 2017. “4,253 lbs. of that was micro-trash,” states the YCA website, “2,537 lbs. of heavier trash was turned in, this included pieces of metal, concrete chunks, asphalt and other random objects. The heavy trash and abandoned infrastructure is getting more difficult to find each year.” Yet, a drastic case remains for a steady presence of micro and everyday trash, according to YCA reports from 2015-2017, which includes things like toilet paper, diapers, beer cans, and cigarette butts. The event, spearheaded by climbing artifact connoisseur and YCA President, Ken Yager, relies entirely on the mantra of stewardship and volunteerism. “Yager remembers walking up to a climb with clients and being disgusted by toilet paper and trash scattered at the cliff base in the early 1990s when he worked as a guide for the Yosemite Mountaineering School,” reports an Alpinist Magazine profile on Yager written in 2015. The same article states that since the establishment of Yosemite Facelift, over one million pounds of trash and debris have been removed. There’s no question as to how critical the Facelift event has become, attracting thousands of volunteers every year to maintain a degree of Leave No Trace sanity. All the more, with Leave No Trace ethics becoming a strong standard among outdoor recreation communities, associated brands, professional athletes, and corporations have followed suit in their support of the event by way of sponsorship, raffle contributions, and presentations given at evening festivities. Subaru has become the official Facelift vehicle. Reel Rock, an adventure and climbing film tour, offered free screenings on opening night for several years. More importantly, the aspect of picking up trash has evolved to include trail maintenance, school curriculum, and service projects the National Park Service itself can no longer afford. Since Yosemite has been an important place in my own personal history, I, too, value such a dedicated clean-up. I attended Facelift in 2013, 2014, 2016, 2017, and was set to attend this year until a work gig popped up. If I’m able, I plan to attend every year, but, in my mind, the question remains as to what the future of the event implies. Let’s hope Facelift won’t be necessary long-term, that trail and climbing hardware maintenance is the extent of it. Maybe Facelift will transform into a celebratory and communal recreation festival, as opposed to mitigating the impact of millions of visitors. Whatever the case, I hope Facelift remains a leading example of stewardship. So, how do we continue the conversation of Leave No Trace on a mass scale? How do we ensure that the total weigh-ins continue to drop? We can only collect so much in five days and this is a dilemma that may never end; the inevitable deterioration is terrifying to think about. While the iconic granite walls of Yosemite Valley seem to aid in the consolidation of visitor waste (since most do not wander far from this seven-mile stretch), Yosemite only ranks fifth in National Geographic’s “Top 10 Most Visited National Parks.” The Great Smoky Mountains, ranking in first place, had over 11 million visitors in 2017 (imagine the trash!). You have to ask yourself, what clean-up programs have been established across the board? When was the last time you gathered some friends and walked around with a trash bag in a National Park or even the city park down the street? Yosemite Facelift is truly an example of what is possible and yet there’s still so much to be done. Nonetheless, it is representative of a hard-fought relationship between government land management entities and the communities that rely on them. “People see the trash being added to a giant pile each day. Seeing the cumulative effort motivates them to work harder,” Yager says in an article for Adventure Sports Journal; and maybe, unfortunately, that’s what it will take for Leave No Trace to finally become a household acronym: to see things get so bad, you can’t help but act. 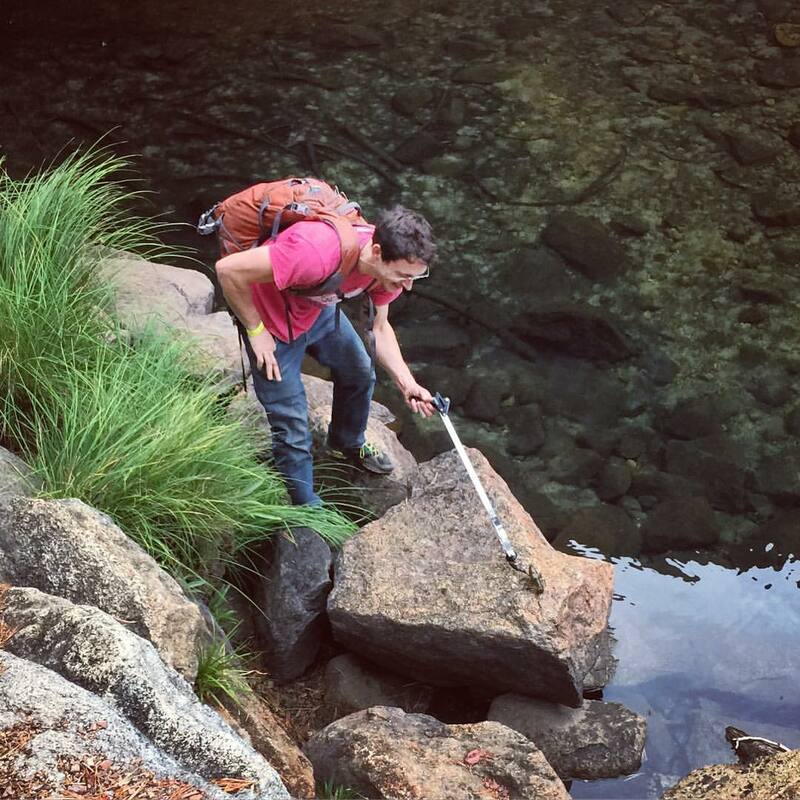 Next time you visit Yosemite, give a shout-out to the YCA and all the volunteers that keep the crags and trails as clean as possible. Your sense of “wilderness” depends on it, even in the vertical realm of El Capitan (yes, trash is collected there, too). If you’re available, partake in this year’s Facelift, September 25-30th. And, as always, support your local Leave No Trace office (or create one) and national organizations like The Access Fund.